We’ve seen some wildly adventurous and hilarious new release picture books available for Father’s Day, now it’s time to celebrate with some more tender, but just as lively, titles that will melt your heart with their precious innocence and charm. 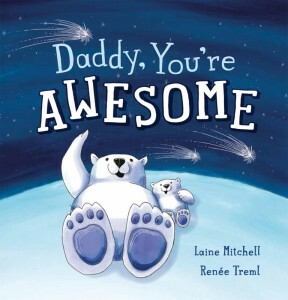 Daddy, You’re Awesome, Laine Mitchell (author), Renée Treml (illus. ), Scholastic Australia, 2015. It’s the simple things that make Daddy awesome. Spending time together chasing a ball, swinging on the swing, looking up at the stars and sharing tickles are the kinds of memories children will treasure most. 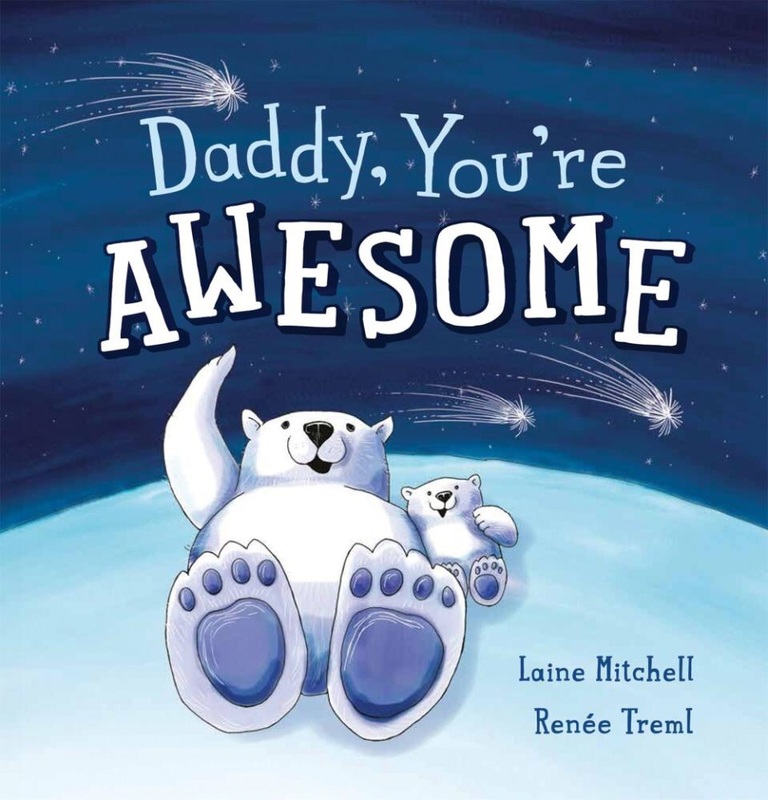 Laine Mitchell follows on from her Mother’s Day beauty, ‘Mummy, You’re Special To Me’ with this ‘awesomely’ imaginative rhyming gift to Dads this Father’s Day. Here is another joyous collection of amazing animal parents, this time with fathers doing fatherly things. Plenty of action and adventure, building, exploring, camping and creating marvellous inventions, and always completing the verse with the phrase ‘Daddy, you’re awesome to me.’ But of course, no loving story about the paternal bonds between parent and child can end without an affectionate kiss and snuggle to soothe little ones after such a busy day. With the characteristically stunning trademark style of Renée Treml‘s scratch art, vivid colours and simply adorable hand-drawn creatures, ‘Daddy, You’re Awesome’ oozes warmth, fun and adoration for those special people in our lives. Daddy Cuddle, Kate Mayes (author), Sara Acton (illus. ), ABC Books, 2015. Little Bunny wakes even before the crack of dawn (sounds familiar!) to the sound of the milkman’s truck. To Bunny, it’s time to get up and play. In cute, toddler two-word sentences, Bunny attempts to wake Daddy by any means. ‘Daddy ball?’, ‘Daddy bike?’, ‘Daddy kite?’. Bunny raids the house offering toys and accessories to a blissfully unaware, snoring Daddy, until enough is enough. In an oh-so-sweet ending Bunny is finally treated to a storytime snuggle and cuddle that sends them both back into a cosy slumber. I love Kate Mayes‘ gorgeously simple text that will appeal to toddlers’ vocabulary and cheeky natures. And beautifully complimented is Sara Acton‘s energetic and adorable line and watercolour sketches on white backgrounds, making ‘Daddy Cuddle’ the perfect book for little ones (and their dads) to relate to the mischievous actions of this Bunny on a mission. 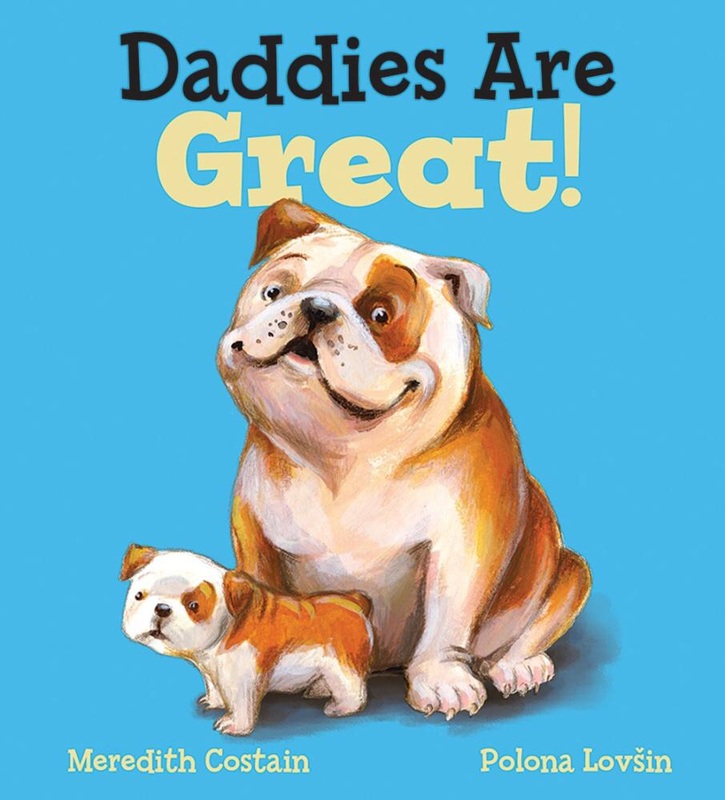 Daddies Are Great!, Meredith Costain (author), Polona Lovsin (illus. ), Scholastic Australia, 2015 (first published by Koala Books in 2013 as Daddies Are Lovely). Daddies are there to make you feel safe, loved, cherished, proud and adventurous. And don’t dogs make you feel these things, too? That’s why this next book contains the ideal combination for tugging on our heartstrings. It’s a book full of doggy daddy deliciousness, with its tongue-panting kisses, tail-wagging games, romping, rolling and digging goodness. You’ll also find caring poodles and border collies who soothe pups to sleep, boxers that raise a helping paw, and cavaliers and chihuahuas inviting close affection. The illustrations are fantastically realistic and playful, beautifully supporting Costain‘s gentle rhyming text with its sweet ode to the fun and protecting fathers out there. ‘Daddies Are Great!’ exudes devotion and induces intimacy in this book of unconditional love and special relationships. Wishing all Daddies, Granddaddies and other special people a sweet and snuggly Father’s Day with your loved ones! Next Next post: Double Dipping – Last minute delights for Dad!